The Lati in China are officially counted under the Yi nationality, yet they do not even speak a Sino-Tibetan language and have no kinship with the Yi. 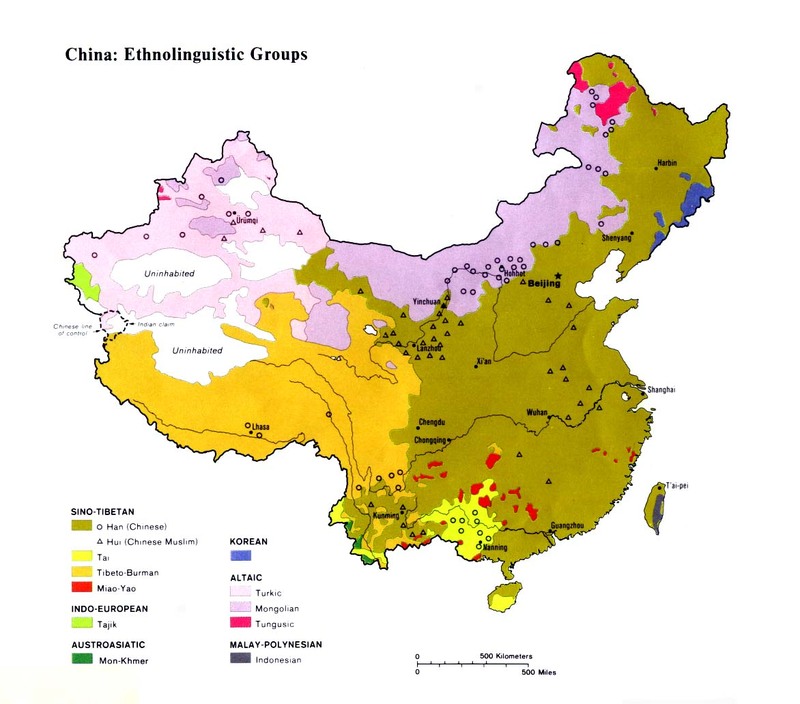 The incorrect categorization of the Lati is an example of the hurried approach that the Chinese authorities employed in their classification of China's ethnic peoples. The Lati in Vietnam claim two historical founders of their race: Hoang Din Thung and Pu Lo To. They are reputed to have created many different species and to have educated the people how to live and farm. Most Lati live simple lives. They cultivate rice. Lati women are renowned for their skill in weaving and indigo dyeing. Each family clan owns drums and gongs which are used in ritual ceremonies. At weddings the groom's family must provide a suitable amount of money to the bride's parents to repay the cost of the girl's upbringing. Lati homes are constructed on stilts and consist of three sections. The largest room contains the ancestral altar. The Lati hold annual ceremonies determined by the lunar calendar. They pray for seeds before they plant them, believing each seed has a soul. They invoke the spirits to watch over the harvest, to ensure plenty of food for the entire village. The New Rice Festival along with the New Year and Seventh Month festivals are the largest, most colorful, and most important festivals of the year. The Lati are blocked off from Christian witness because the atheistic governments of both China and Vietnam forbid evangelism. There are no known Lati believers on either side of the border, and no missionaries are known to have ever focused on them. The nearest Christian communities to the Lati are among the Hmong Daw and Hmong Leng, but the Lati do not share a common language with the Hmong. The two groups rarely have contact with each other. Scripture Prayers for the Lachi in China.